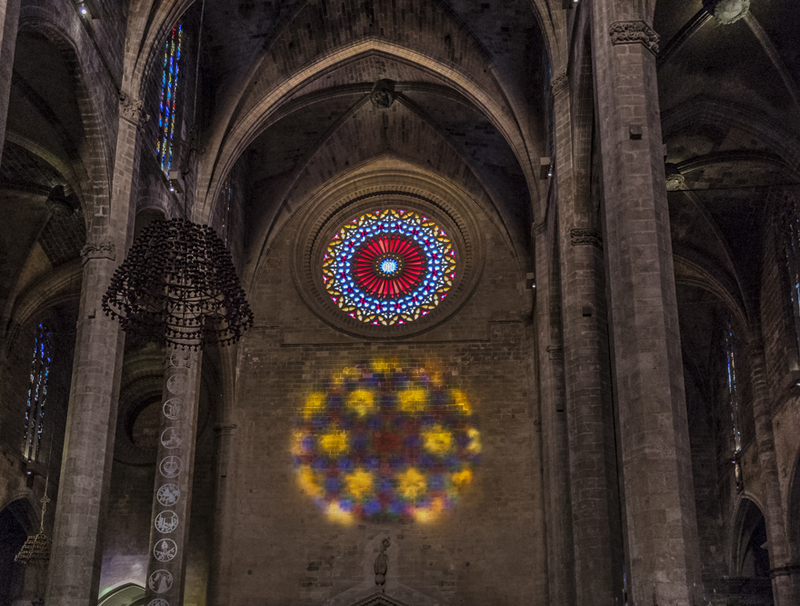 Twice a year, the sun performs an incredibly beautiful display of light reflection on the interior walls of La Seu, the Cathedral of Palma. The dates are November 11th and February 2nd, spot on year after year. The photo was taken in Palma de Mallorca, Baleares, Spain. The date: February 1st, 2014. Reblogged this on AngelEyes: Journey of Photos and Words.